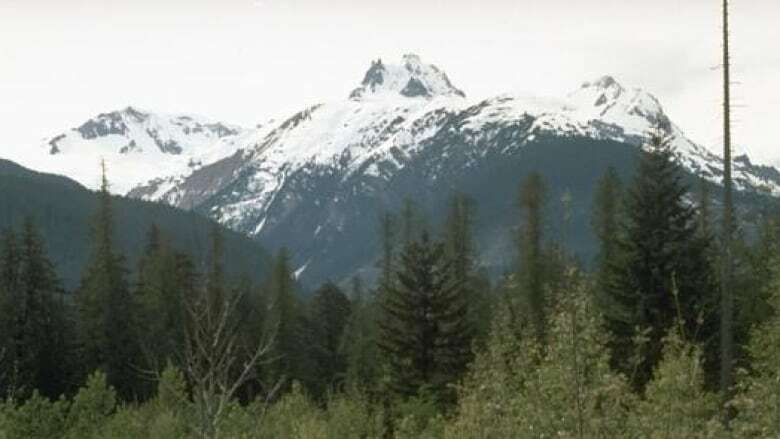 Volcanologist Melanie Kelman with Natural Resources Canada is taking a closer look at Mount Meager, north of Pemberton, after a discovery this summer showed the long-dormant volcano is a little more active than originally thought. Experts are taking a closer look at Mount Meager, a dormant volcano north of Pemberton, after they discovered activity on the peak earlier this summer. Volcanologist Melanie Kelman with Natural Resources Canada said sulphur smells and volcanic openings known as fumaroles were spotted on the the long-dormant volcano. She said it is not uncommon to find fumaroles on the peak, and it could have been thinning ice that exposed the vents. While fumaroles pose no risk to the public, she said it would be unsafe to approach or enter them as they are letting off hydrogen sulfide — a poisonous gas — and the ice around them is crevassed and potentially unstable. Her team is now monitoring the area for increased seismic activity — the key sign of an upcoming eruption. "The main thing we would expect if the volcano was becoming more active is lots and lots of small earthquakes," she explained. "We're not seeing a lot of that right now, but this is what we would expect, and that's why we're watching it closely." Mount Meager was the site of one of the largest volcanic explosions in Canada. About 2,400 years ago, the mountain erupted, triggering a major landslide and spewing ash as far as Alberta. Although the mountain hasn't erupted for over 2,000 years, Kelman said that doesn't mean the volcano will never erupt again. "It could be biding its time ... With Mount Meager, we don't know. It may erupt 10 years from now, 50 years from now, or 3,000 years from now." Kelman added there is usually plenty of warning before a volcanic explosion takes place — mainly intensifying seismic activity — and B.C. scientists are well equipped to move in with intensive monitoring. She also emphasized the province is well-prepared for emergencies. "We've certainly talked to Emergency Management B.C. about the unrest in Meager and explained what's going on ... It doesn't pose a threat to public safety." Micro-quakes detected in volcanic region of B.C.